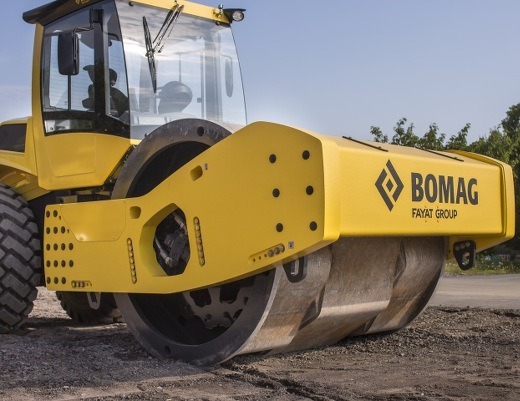 Fields of application: Polygon drum: For in-depth compaction of mixed particle and cohesive soils, distributed in thick layers. 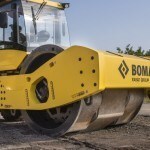 Fields of application: BOMAG single drum rollers with VARIOCONTROL are suitable for the compaction of a wide range of soils used in earthworks construction. 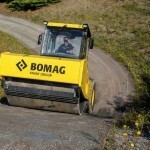 VARIOCONTROL provides a higher and continuously optimised compaction performance compared to conventional rollers. 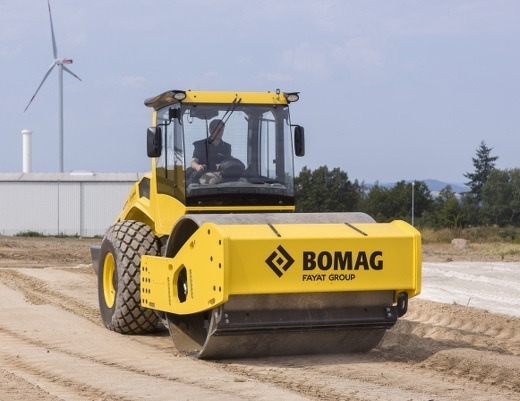 The instant, continuous optimisation of amplitude and compaction energy reduces loosening in upper layers on uniform and granular material types. 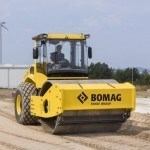 Single drum rollers with VARIOCONTROL are equipped with the BOMAG compaction measuring system BTM-E as standard. 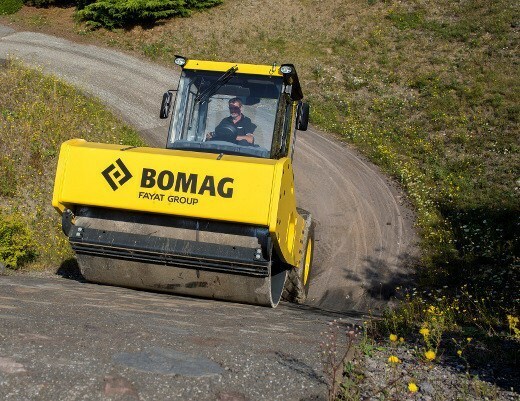 BTM-E directly determines the vibration modulus EVIB [MN/m2] as parameter for the dynamic stiffness of the soil.